J&M Seville bedroom Set in a rich white lacquer finished modern style. 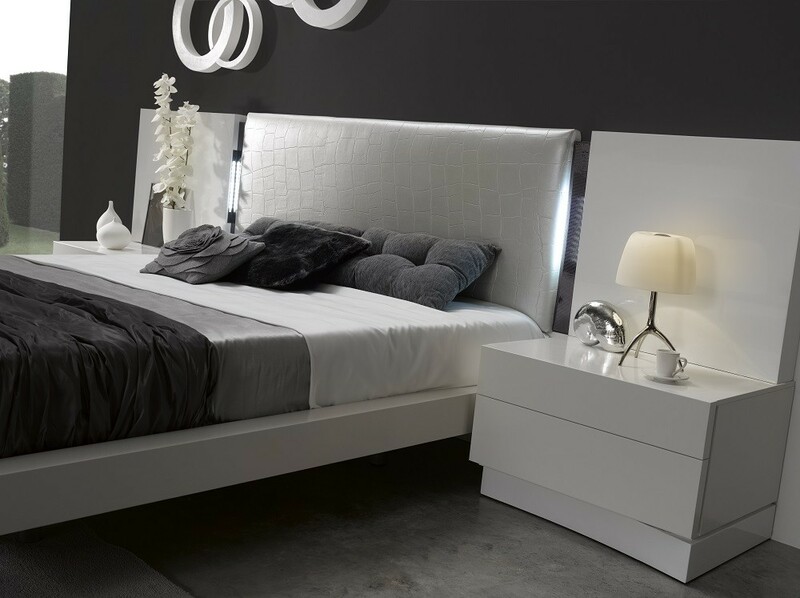 Floating design platform bed with crocodile like leather upholstered headboard and LED lights. White matching case goods have large soft closing drawers.